White Arnold & Dowd P.C. maintains an active securities practice, pursuing claims through shareholder derivative suits and under the Private Securities Litigation Reform Act of 1995, as well as defending corporate officers, directors, and managers against claims for breach of fiduciary duty, corporate mismanagement, and related claims asserted against them. 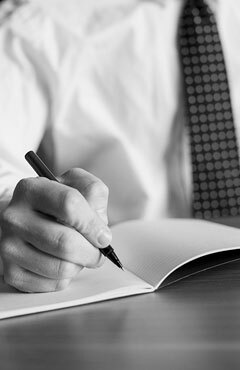 We seek to protect the interests of stockholders specifically and the securities market generally, as well as to provide appropriate counsel to management when they are wrongly accused. Securities litigation requires experienced lawyers who are knowledgeable in complex securities and business law. Our team of experienced trial attorneys has a long history of representing shareholders and investors in protecting their rights and in defending corporate officers and directors against unfounded claims.